Trying to apply a GUF2 to an exGOT DIF (T) - tried PT and they only seem to do it with a LON POS giving me a fare increase over STO of ~£140. Appreciate I need to pay the extra YQ but anyone had success of getting the correct POS when going via a UK TA? Have you got to the bottom of why using a UK POS increases the fare by that much? Are the lower economy booking classes unavailable using a UK POS, pushing you up to a higher DIF based on a higher economy booking class? If so, have you tried looking at other POSs to see whether there's another POS that can replicate the price that you were originally thinking of? 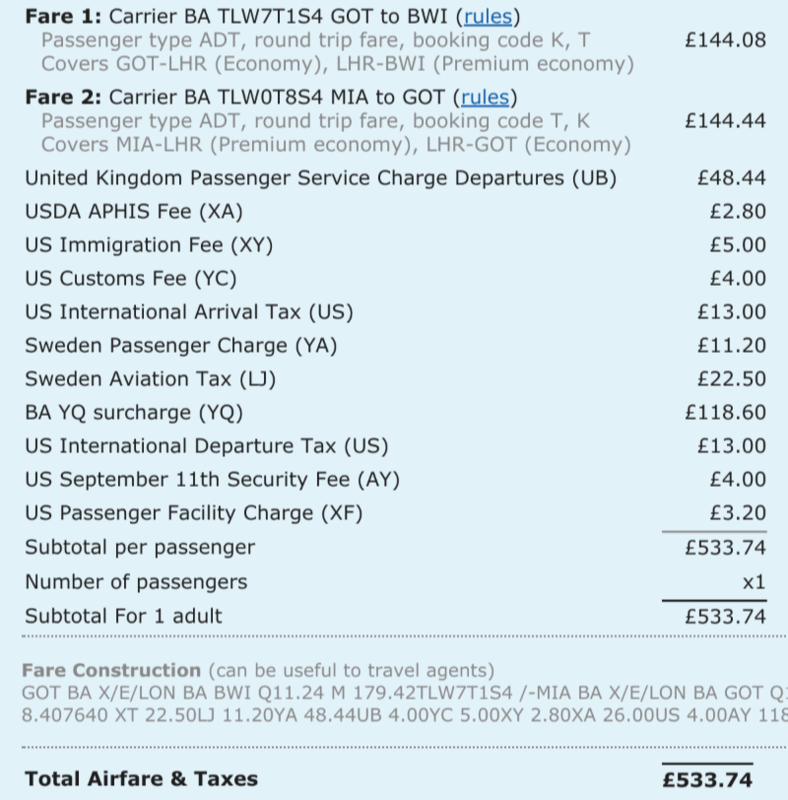 Whilst on the subject of buying ex-GOT fares from a UK POS, does anyone know how to buy one of these fares from the AMEX travel website? The first post is like a Flyertalk exam question. Yes, you can buy them on AMEX travel, or BA callcentre in UK. The POS issue is in my experience only an ITA glitch. Unfortunately, I haven't had any luck using Propeller to book any of the DIF fares (neither the US nor the Japan ones). My assumption always was, that travel agents cannot price DIF fares (like most of those nice WTP fares). I always wait for an offer where they officially publish the cheaper WTP fare and then book through a travel agent using an upgrade voucher. 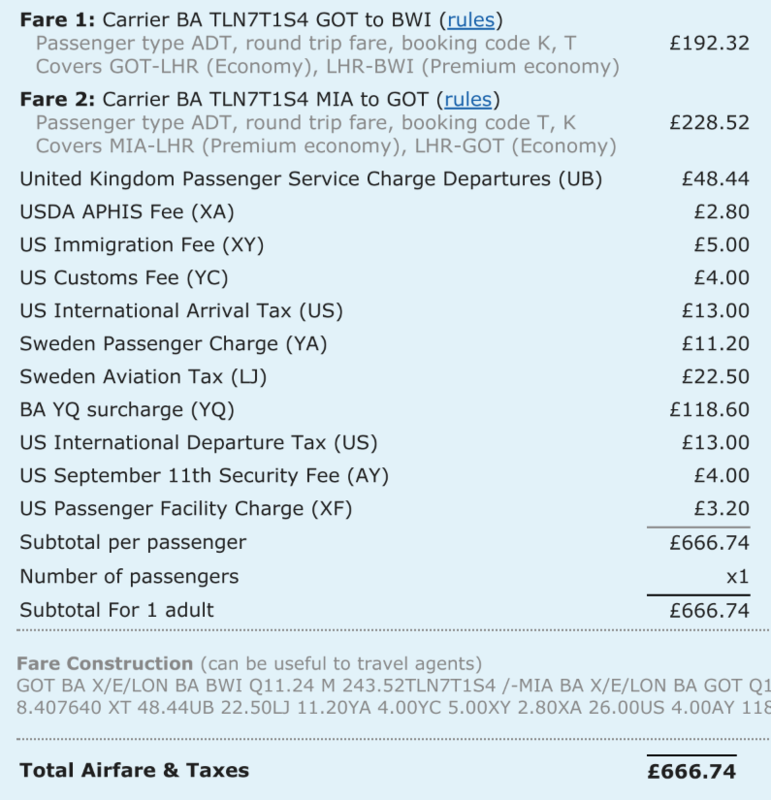 Have I been stupid or is there a way to actually book DIF fares using a TA? IF ADULT. THIS FARE IS VALID FOR A SPECIFIED ACCOUNT CODE. This seems to be supported by the fact that the Swedish POS fares don't seem to be listed on the EF fare listing. My guess would be that this would be why you can only get them with a Swedish POS, which ba.com also uses if you buy there.